When I moved to Portugal, I was dumbfounded by the amount of rice I consumed. Why? Because rice is absolutely everywhere! 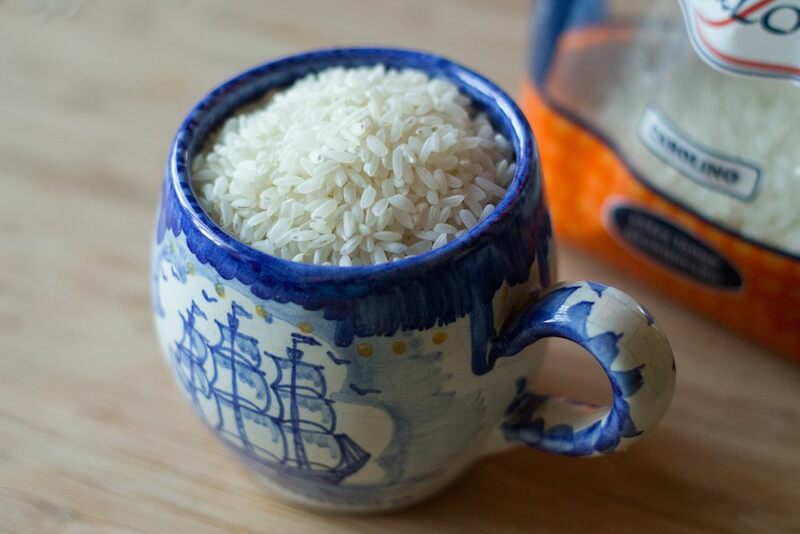 Not only that, the Portuguese are the largest consumers of rice in Europe, savoring 15 – 16 kilos per capita a year, compared with the 4 – 5 kilo European average. Unbeknown to many, Portugal cultivates two main varieties of rice: Agulha and Carolino. Agulha is a long grain Indica rice that is commonly used as a side dish or for oven-baked rice dishes like the popular arroz de pato (duck rice). The second variety is Carolino, a native short grain variety that’s similar to the Italian Arborio. Low in amylose, it’s great for creamy and malandrinho (wet and saucy) rice dishes. Arroz doce also uses Carolino rice to craft a deliciously sweet, creamy dessert, as do several stews such as: arroz de marisco (shellfish rice), arroz de tamboril (monkfish rice), arroz de coelho (rabbit rice), and plenty of side dishes like arroz de grelos, arroz de tomate (tomato rice), arroz de feijão (tomato rice with beans) and simple arroz de coentros (cilantro rice). Although Portugal’s rice production along the Tejo River estuary has been documented since the 18th century, rice was cultivated in the southern regions of Portugal well beforehand – inherited from the Moors. It was during the reign of King D. Dinis (1279-1325) that rice was first referenced, curiously as a luxury product found only on the dining tables of the wealthy. Centuries later, the production of rice was outlawed, due to a high risk of malaria from the poor growing conditions. By the 19th century, rice became highly prized and produced, extending beyond the river basin to the North. Consequently, the Portuguese government changed their tune from rice as a “tolerable grain” to an agricultural powerhouse, thereby creating better conditions to ensure its success. By the beginning of the 20th century, a solid base for rice production had been established provoking the dissemination of rice fields across the country. Nowadays, Portugal produces 150 – 180 million kilos of rice a year and is 60% self-sufficient. 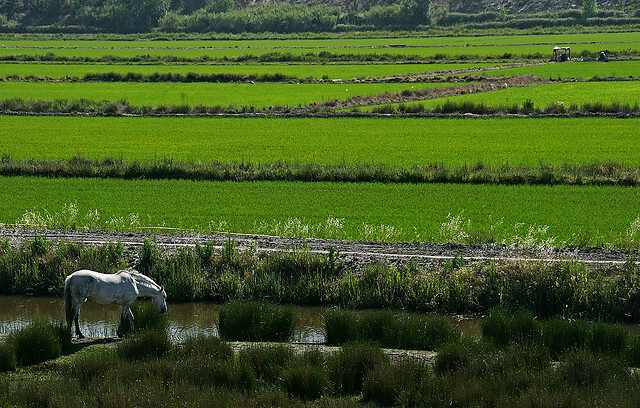 The majority of rice is grown around 3 major river estuaries of Portugal: the Mondego in the Coimbra/Aveiro region, the Tejo in the Ribatejo (Leziria) region and the Sado in the area of Alcácer do Sal, totaling approximately 30 thousand hectares. Of this, two thirds come from the Portuguese Carolino variety, and only one third from Agulha. Unfortunately, the Portuguese are purchasing more Agulha, and other imported varieties of rice, as it’s cheaper and has been more effectively marketed over the past few decades. It also didn’t help that about 5,000 more hectares of Carolino were planted in recent years, which has created an excessive inventory (of around 50 million tons) that has been exported to Turkey due to lack of national demand. Portuguese rice growers have also suffered a drop in the selling price for local rice, as well as a reduction of industry aid funds, making it tough to sustain a living with all the work and care that comes with cultivating rice. Consequently, the Portuguese rice industry is planning to launch a national campaign starting in 2015, directed by Casa do Arroz– the new inter-professional organization created for the sector. Their aim is to promote the value of locally-grown rice, which contributes to sustaining the natural ecosystems of protected wildlife, such as the many species of flora and fauna in the Tejo Estuary Natural Reserve. The campaign will also focus on the increase of Carolino rice sales, emphasizing its heritage as “Portugal’s National Rice”. There are several excellent Portuguese brands producing fantastic Arroz Carolino, such as Novarroz Carolino, Pato Real and Atlantic Meals Sorraia. One of my favorite Portuguese carolino rice dishes is Arroz Tomate, a saucy, red and green side dish made with onions, garlic, tomatoes and peppers, and traditionally paired with fried fish, like filetes de pescada- hake fillets that are commonly found in supermarkets across Portugal. Check out one of our favorite recipe: Portuguese Pan Fried Hake Fillets with Tomato Rice!